Rich tour to go around 3 World Heritage sites in 3 night-4 days! 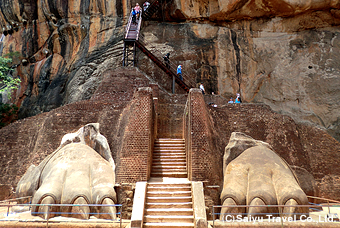 The must-see sites are the Sigiriya Rock stands up in jungle and the “Sigiriya Lady”. This is a private tour to be conducted for one person and more. ※Please enquire us the flights from other cities. 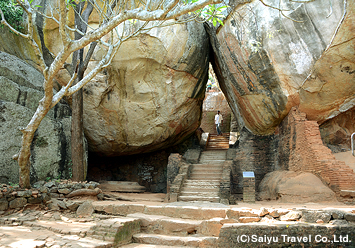 Head to the Cultural triangle, Sigiriya by a private car. On the way, tour the Pinnawela Elephant Orphanage and the World Heritage site the Dambulla Rock Temple which is famous for the largest Buddhism mural painting. Head to Colombo airport by a private car. Fly back to the cites in India. ※Please enquire us the flights from the other cities. ※The above itinerary is supposed to be the direct flight of Sri Lanka airline from Delhi. If you want to transfer a flight from other cities, please contact us for consulting. We could make an itinerary for you matching the flight schedule and estimate the costs. ※A change may happen to accommodation place, turn of sightseeing places and the contents of itinerary due to the transportation schedule change, delay or stop operations, and the road conditions, etc. The air fares for a round trip between the cities in India and Colombo are not included in the prices on the list (tariff) below. If you want to buy the air tickets, we could offer the best rates’ on the day. ※The above mentioned prices would be added up the service taxes 3.63 % of India’s Government Tax. ※Above mentioned prices are effective for the period from 1st October 2015 to 30th April 2016 (excluding the year-end and new-year). On the trip days other than that period, please enquiry us separately. ※If you travel in a group of three, want 2 rooms or more, with children under 12 year old and an extra-bed, please ask us for the quotation. ※If the exchange quotation rates (to US$) is drastically changed, the tour prices may be changed, accordingly. Please confirm it when you apply. ※Trip to Sri Lanka is required ETA (Electronic Travel Authorization). You can apply and acquire the ETA by online. Please enquire us in details. ※The category of guest room in each hotel is according to Run of House and not specified in advance. If you want to specify (designate) the category (class), please enquire us. If the hotel is booked in full, the alternative hotel may be introduced. The high season for trip in Sri Lanka is from November to April. The hotel charges may differ due to seasonality. A special surcharge may be asked for the Christmas, year-end, new-year, etc. ※We could arrange the hotels you want to stay in. Except the hotels to introduce here, we could book an economy hotel, characteristic hotels and luxury resorts. Please contact us for consulting. Rich 3 night-4 days tour to visit 3 World Heritage sites! 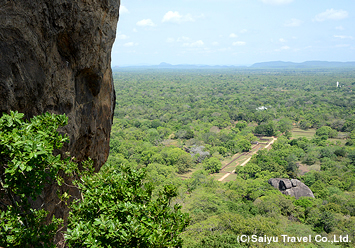 The red brown stone mountain “Sigiriya Rock” is 200 m above the sea level. 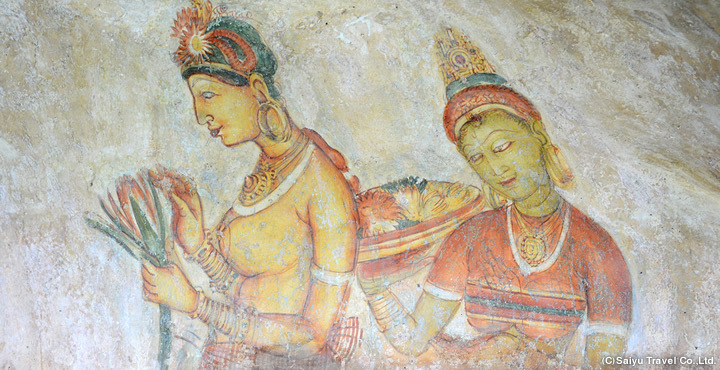 On the top of the mountain, there are the remains of building and 18 beauties “Sigiriya Lady” are depicted in the remains. View the remains and paintings. 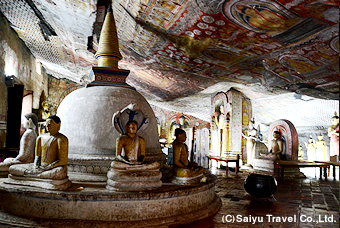 The largest stone cave temple in Sri Lanka. The statues of Buddha are lined up which are covered with gold leaf. In the cave, a majestic air floats and the richly-colored Buddhism paintings were exhibited in full suggests the local people’s strong religious mind. The last capital in the Sinhala Dynasty. 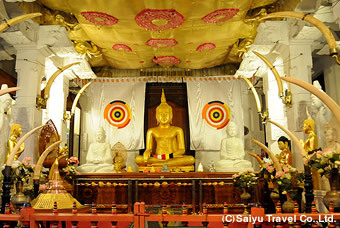 The “Dalada Maligaw” is the highlight of this tour which enshrines the tooth of Gautama Buddha is a proof of succession (accession) to the throne. Also, the Kandy basin is surrounded by the flat mountains is said the most beautiful place in Sri Lanka. 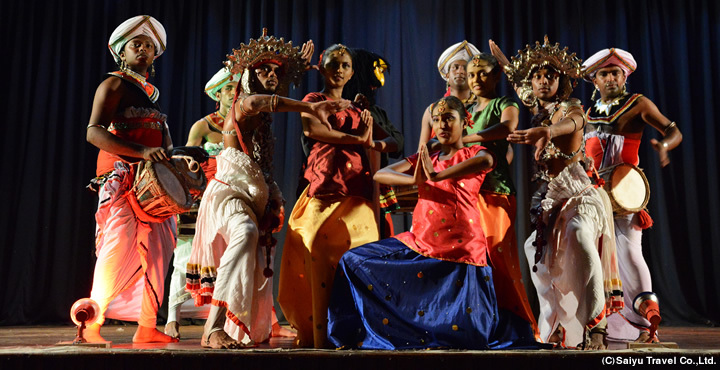 In the town of Kandy is the World Heritage site, please appreciate the traditional Kandyan dance. Also, visit the Pinnawela Elephant Orphanage which protects 60 heads and more is rare in the world to see the elephants near-by. The Sigiriya Rock stands up in Jungle. 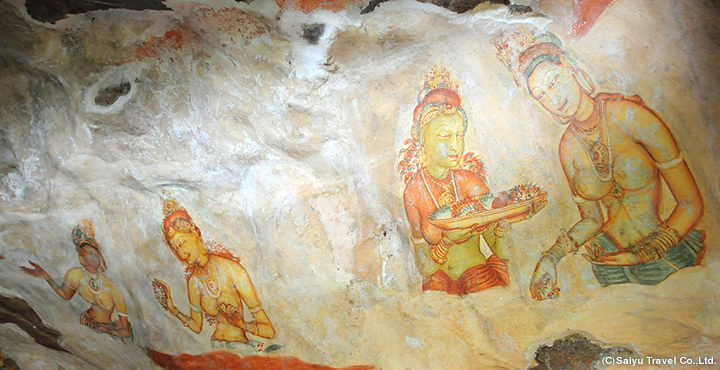 The must-see “Sigiriya Lady” is depicted on the wall! In the 5the century, a palace was built on the top of the rock mountain in the era of Sinhala Dynasty and the building around the palace are designated as the World Heritage Sites of UNESCO. At the beginning, 500 beauties were depicted, and today 18 remain because of weathering (efflorescence). However, the beauty is said as the “Venus in the east”. Since they were created, 1500 years passed but their expressions attract people. Please watch them nearby. The lady with a tray is supposed to be a lady in waiting. The composition of wall (mural) paintings is mostly the prices, aristocrats and the ladies in waiting.